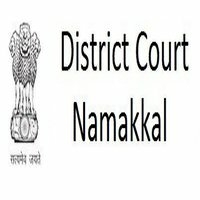 Namakkal District Court Jobs Recruitment Notification 2019.Namakkal District Court, Tamil Nadu inviting applications for the positions of Office Assistant, Computer Operator & Other Posts.Interested and Eligible candidates can apply for the positions. Last Date for Submission of Application is on April 29th, 2019. Computer Operator: A pass in Bachelor's Degree in Computer Science/ Computer Applications from a recognized University of Indian Union or a Bachelor's degree in B.A., or B.Sc., or B.Com., from a recognized University of Indian Union with a Diploma in Computer Applications from a recognized University. Senior Bailiff: Must possess Minimum General Educational Qualification Viz., must have passed S.S.L.C Public examination or it's equivalent. Junior Bailiff: Must Possess Minimum General Educational Qualification Viz., Must Have Passed S.S.L.C Public Examination or its equivalent. Driver: Must have Passed in III Form or VIII Standard in a recognized school. Xerox Machine Operator: Must possess Minimum General Educational Qualification Viz., must have passed S.S.L.C Public examination or it's equivalent. Office Assistant: Must have Passed in III Form or VIII Standard in a recognized school. Masalchi,Night Watchman,Sweeper,Sanitary Worker: Must able to read and write in Tamil. Selection Process: On the basis of Written Test, Practical Test and Personal Interview. How to Apply: Eligible candidates may send their application in prescribed format (attached below) to Principal District Judge, Principal District Court, Namakkal ­637 003 on or before 29 Apr 2019 till 06:00 PM, along with self-attested copies of all the testimonials, certificates.